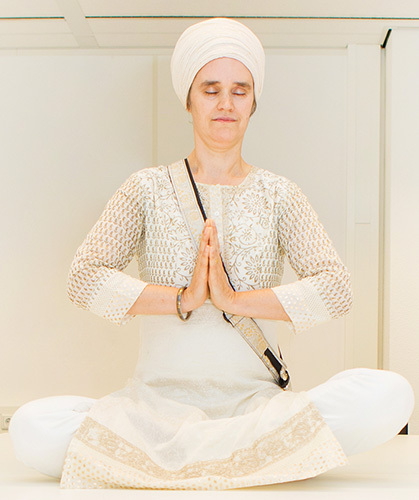 Since 2005, Sat Kirtan Kaur Khalsa has been pursuing her mission to bring health and happiness into the workplace with Kundalini Yoga. The success of her teachings inspired her share her experiences and expertise by launching NineMinMax® Business Yoga and writing the Kundalini Yoga book Bye Bye Stress in Nine Minutes or Less: Nine powerful practices to find health and happiness. She also teaches an online Business Yoga teacher training program with participants from around the world. Sat Kirtan is an avid harmonium player and the mother of two beautiful children.